a morning; it covers a lifetime’. How cathartic and redemptive was the experience of writing this book? As a reader, this story does feel emotionally relieving, in ways better than any confessional you can imagine. The poet Robert Frost once said, “If there are no tears in the writer, there are no tears in the reader.” I know there were moments as I was re-imagining and rewriting this novel that I was quite angry. I shed tears as I rewrote some passages, not because I was sad, but because I was ticked off that my work was taken and I had to start over. My computer was one of the many items confiscated by the Georgia state police in 2010, during a simultaneous raid at my house and at my husband’s offices. Although the legal matter against my husband was dismissed in 2016, most of our belongings have yet to be returned. 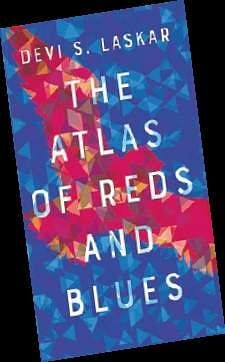 All that being said, I wouldn’t have The Atlas of Reds and Blues in its current incarnation, if I didn’t have to start over! The gruesome opening seems instantly relevant in the light of so many similar cases around the world, not just in the US. How unbearable was the horror that drove you to write this book? I have no words to adequately describe the real-life events that inspired me to recast the Mother’s story with gun-violence and police-violence. I was not shot, but it was still a shocking event. It is a literary conceit to a have a “life flashing before your eyes” narrative. However, it is somewhat true that when a policeman is pointing his weapon at you, you do think about what’s important and you think quickly. I felt it was necessary to give the Mother narrator those feelings so she could give it to the readers, so the readers could be there with her as she remembered — and so the readers could take stock of her life as well. We couldn’t help but make note of references that touch upon similar emotions, such as the Tracy Chapman songs Across The Lines and Behind the Wall. How much do you relate to others with similar experiences now? these days, not just for my family, but also for friends and for strangers. There can be no change without candid conversation and uncomfortable debate. Remaining silent only helps maintain the status quo. My novel has been called an immigrant novel, but I think that’s a bit of a reduction. I think it calls attention to racism, misogyny, invisibility and being other. I think it brings attention to the isolation of modern life, how cut off and disconnected we are becoming from each other. I think it shows the cumulative effect of micro-aggressions on a body, on a mind. of police brutality, the aspect of racial prejudice here — against an Indian — ends up seeming somewhat feeble in impact, over some of the severe cases we get to see on TV all the time. How difficult was it to toe that line of distinguishing an Indian identity and the issue of racial prejudice at large? I think people are desensitised to violence these days, because they see so much of it on TV or in a video game or read about something horrific in a magazine or newspaper. I also know that it is still very difficult to have candid conversations about racism and misogyny without people feeling defensive or feeling attacked. My hope is that my novel can be that safe space where people can engage in a conversation about what is happening to the Mother and her family and then apply the fruit of those conversations in real life. Once again, silence is not going to work. There can only be positive change through some hard discussions, through diversity of thought. We’ve come so far with stories of Bengali origins in the West, without naming too many precedents. This story, however, is entirely unlike any other in tone, narrative and emotional impact. Did you ever feel conscious of the thought that most people expect happy stories of a generally pleasant disposition, preferably humourous, from second and third-generation Indians — and especially, Bengalis — who’ve moved to, and reside in the West.No. Anyway, I think there is a fair amount of humour laced throughout this novel. I think humour is how the Mother character copes. I think the bits of humour also help the readers take a breath. Tell us about the narrative structure — how did you work this? There’s almost a cinematic quality to the manner in which you present certain episodes, in rapid flashes, almost like cut scenes. At what point did this book about a real-life incident take on the prospect of a thoroughly engrossing page turner — in your mind, as its writer? And, I borrowed from Aristotle’s Incline when organising my book. The novel I hold as the gold standard is Sandra Cisneros’ The House on Mango Street. She is a poet who wrote a novel with short cinematic chapters. When all the pieces are put together, it is a novel. 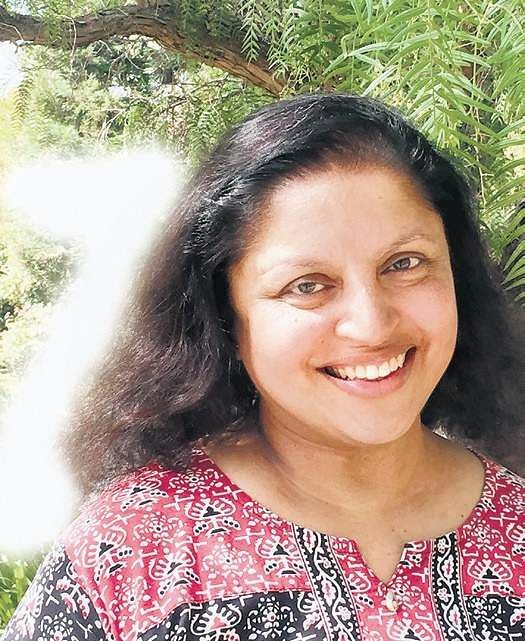 Yet, there are several parts of her novel that are heavily anthologised in poetry volumes. I wanted to emulate that model. As I mentioned before, I lost most of my work in 2010. For the first year after the raid, I was busy helping my family. In the summer of 2011, I sat down to write and I found that I couldn’t. A good friend in Atlanta suggested I watch the movie Julie & Julia, which is based on the real-life story of Julie Powell who cooked a recipe out of Julia Child’s famous cookbook every day for a year. I am a photographer as well as a poet; my friend insisted that if I take a photograph every day and title it — and post it online so that she and others could hold me accountable — then my words would return. I started my #artaday project on June 23, 2011 and I maintain it to this day. My friend was correct. My poetry returned after about a year, and I was able to restart the novel in 2014. It took two years to rewrite this book, and it was very important to me to make use of the raid by making it the contextual glue of the story about this family. and hatred in the present day? Have you managed to lose some of those fears that are bound to stay with a victim of such an incident? How did you regain a sense of emotional equilibrium in real life? And, what are your most real fears today? I think since the 2016 general elections in the US, we have seen a resurgence of hate crimes, racism, white nationalism, racial profiling, etc — around the world. I don’t think I’ve lost my fears exactly. For years, I’ve had to combat my PTSD and I’ve had to fight for my family. I gain a little courage every day that I speak up about wrongdoing and speak out against injustices, not just for people I know — but for strangers. I’m an artist and photographer. Making art every day has helped me to heal. Every day that I can write and pursue my writing goals is a day where I get the emotional lift to assist others. My fears these days are for my children’s generation and for the way the environment and society are being eroded. I don’t know what their lives are going to look like in a few years.